Open Your Garden Gate To Sherwood Park! Picture Perfect 3 Storey Semi-Detached Home On Glorious 200' Deep Lot At The Dead-End Of Keewatin Ave. Combined Lr-Dr With Fireplace & Hardwood Floors Lead To Renovated Kitchen With Tile Floor, B-In Appliances & Sliding Glass Doors Opening To Deck & Garden. 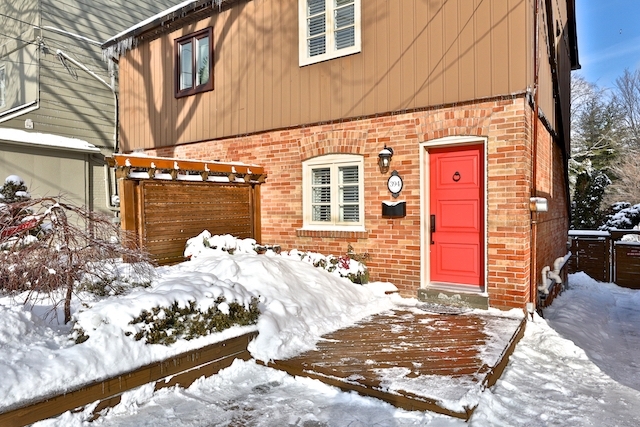 3 Bedrooms Plus Large Walk-In Closet And Renovated 4Pc Bath Complete The 2nd&3rd Floors. Bright Rec Room W/Walk-Out To Garden & Updated Laundry Room. A Gem!